Tight But Loose » Blog Archive » ROBERT PLANT DOWN UNDER/DEBORAH BONHAM BAND + STEVE RODGERS AT THE STABLES MK REVIEWED/RECORD STORE DAY COUNTDOWN/DL DIARY UPDATE/1973..
ROBERT PLANT DOWN UNDER/DEBORAH BONHAM BAND + STEVE RODGERS AT THE STABLES MK REVIEWED/RECORD STORE DAY COUNTDOWN/DL DIARY UPDATE/1973.. 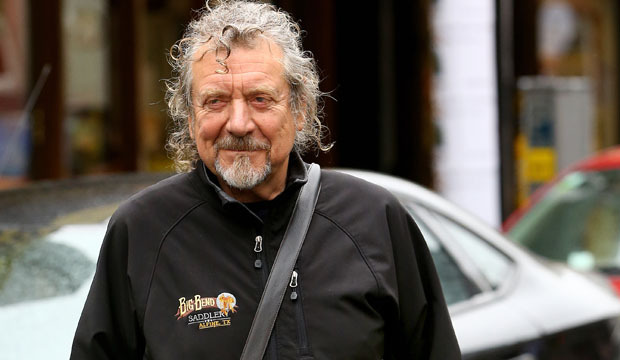 In the 30 years since Led Zeppelin called it a day nobody has worked harder at honouring the legacy whilst creating distance from it – and attempting new runs on the board – than the voice of the band, Mr Robert Plant. And if it is hard for some audience members to fathom that Plant had a career pre- and post-Zep then it seems the erstwhile Golden God, now a contemporary artist offering up his own twisted take on where folk and blues musics bisect with rock, has his past fully reconciled. And by the sound of tonight his future will in fact reference his past more than has previously been the case. So it was to a Led Zeppelin-heavy set but with see-if-you-can-spot-this versions of Black Dog and Four Sticks and Whole Lotta Love as Plant found new ways to tunnel into the blues. 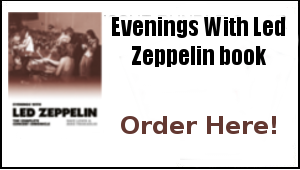 It was an amazing performance, with standards recast to show that the evening was as much about where Led Zeppelin songs had come from as it was an act of seeing where exactly they could go. An almost terrifying transmogrification of the Willie Dixon-penned Spoonful was an early highlight and later with Fixin’ To Die Plant paid tribute to his early career, pre-Zep. There were new songs and pieces that existed away from the Zeppelin canon but it was those heavy metal moments that people kept calling for. Even if one over-zealous fan screamed hoarse for When The Levee Breaks and was told by Plant to get his voice checked out; he was concerned someone was choking the wannabe-heckler. Lead guitarist and bandleader Justin Adams bent country licks into a rockabilly feel, swooping and rocking, pulling at his guitar to create new psychedelic blues clothes for the bodies of old tunes. Ramble On rode in on a subverted samba groove but its chorus was faithful. Going To California and Bron-Y-Aur Stomp were more instantly recognisable as coming straight from the source material. Encore versions of What Is And What Should Never Be and Rock’n’Roll were further highlights. Returning blues to its African routes via oscillating keyboard textures and a creeping future-funk feel, Plant’s new set of found sounds made for an amazing recontextualisation. One of the best gigs I’ve ever seen. Even rock stars have their tourist moments – and Robert Plant couldn’t resist stopping to take a photo of the cardboard cutouts in the window of Wellington record store Slow Boat Records this afternoon. The English musician and former Led Zeppelin frontman stopped in at the Cuba St record store ahead of his show tonight with his band the Sensational Space Shifters. Plant happily chatted with staff members and other customers and spent about half an hour trawling through the 50s and 60s section of the store, before settling on an album by British singer Holly Golightly. 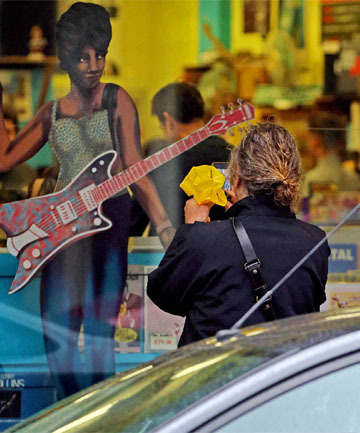 On his way out, Plant – who is regularly listed as one of the world’s great rock singers – took a moment to grab a quick snap on his phone of the cardboard guitar-playing woman in the window. He then told The Dominion Post he was running late for stage set up and was quickly on his way. Slow Boat owner Dennis O’Brien said Plant and his band were on the same flight as him from Sydney on Monday evening. Kris Taylor, who also works at Slow Boat, said musicians often stopped in to the store while in Wellington for shows. British soul artist Michael Kiwanuka and Johnny Marr of the Smiths had recently checked out the selection. O’Brien said Plant must have posed for photos and chatted with fans “hundreds and thousands of times”. Gary has updated the Robert Plant Tour watch section to include the latest Robert Plant Presents Sensational Space Shifters down under gigs -be sure to check it out. We got to a rather rained soaked Stables around 7pm. Everything about this venue is class – the staff are incredibly friendly and there’s a mini CD and merchandise shop in the foyer that has some very nice framed Free and Paul Rodgers posters. In fact we hung around that area as they played various Free tracks over the speakers. 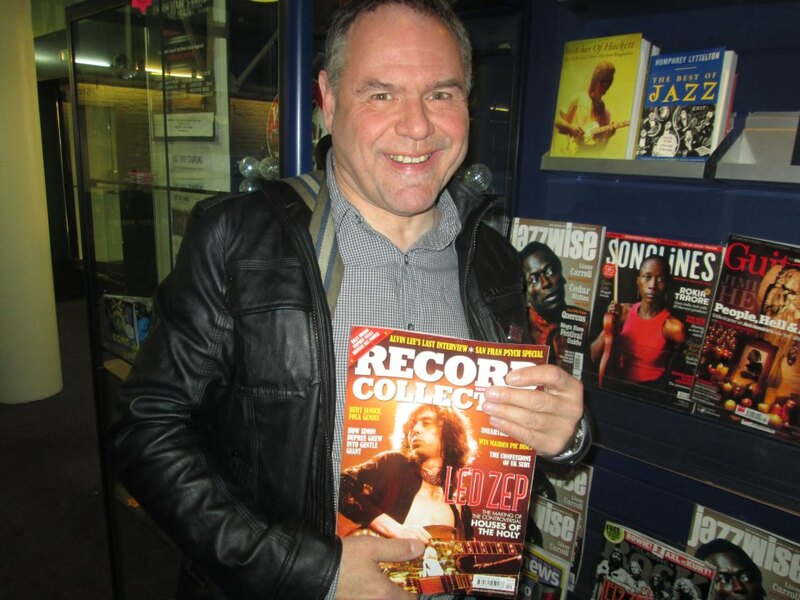 It was good to see their magazine rack displaying a copy of the latest Record Collector with the Houses Of The Holy cover feature written by yours truly. The Free and Paul Rodgers associations were of course entirely appropriate as the support act tonight Steve Rodgers is the son of the aforementioned Paul. This may be something of a burden to carry but the young Rodgers wears it very well indeed. His sparse and often introspective compositions have an easy going charm and yes, there is no getting away with it –close your eyes and at times you could be mistaken that it is Rodgers senior in the chair. That though, is no bad thing in my book. Entirely of his own making are Steve’s way with words and a tune –Freedom, and The River being highlights of a set that even had a little meaning of life banter between songs. Steve Rodgers is an engaging emerging talent. So to the Deborah Bonham Band. It’s a good five years since I last caught the band live -far too long. I’m pleased to report not much has changed. Deb still carries that front lady swagger in the Maggie Bell, Janis and Elkie vein with consummate ease. Guitarist Peter Bullick constantly showed why Paul Rodgers touted him as a replacement for Kossoff should Free ever reform. His bluesy but always economic fills and solos lit up the stage. The band also have a stack full of edgy and slick songs –Feel So Alive, Pretty Thing and Fly recalling the sort of commercial bluster that characterised Steve Marriott’s Humble Pie. Indeed, at many points during the set, you could have been forgiven for thinking you were watching an episode of The Old Grey Whistle Test, viewing one of the quality blues rock bands (Babe Ruth and Vinegar Joe springs to mind) that dear old Bob Harris would quietly introduce. Again, no bad thing in my book. Not that this is a band trading on former glories – there was plenty of the new album Spirit to be heard, most impressive of which is the sprightly single Take Me Down. This song’s smiling upbeat jauntiness will sound just great if and when the weather changes and it’s also the sort of thing the reformed Fleetwood Mac would be proud to come up with. At one point Deb’s between song banter gave a nod to the spiel at the close of Zep’s In My Time of Dying where John coughs: ‘’Cough. That’s gotta be the one hasn’t it ‘’. ‘’That’s one the man from Tight But Loose should know’’ she commented as I quickly tried to identify the lines- it’s age!. Where Debbie really strikes a chord is when she loses herself completely within a song – I Need Love being the perfect example. Here she wrings every ounce of emotion out of every word she sings. The effect is quite breathtaking. Then there’s the finale The Old Hyde. When I first heard and saw Deb perform this touching lament to her family on the afternoon of the final day of the Led Zeppelin London Convention back in 1992 it was one of the most emotional moments of my life. There was something very spiritual in the air at that moment, a fact Deb agrees with me on completely. 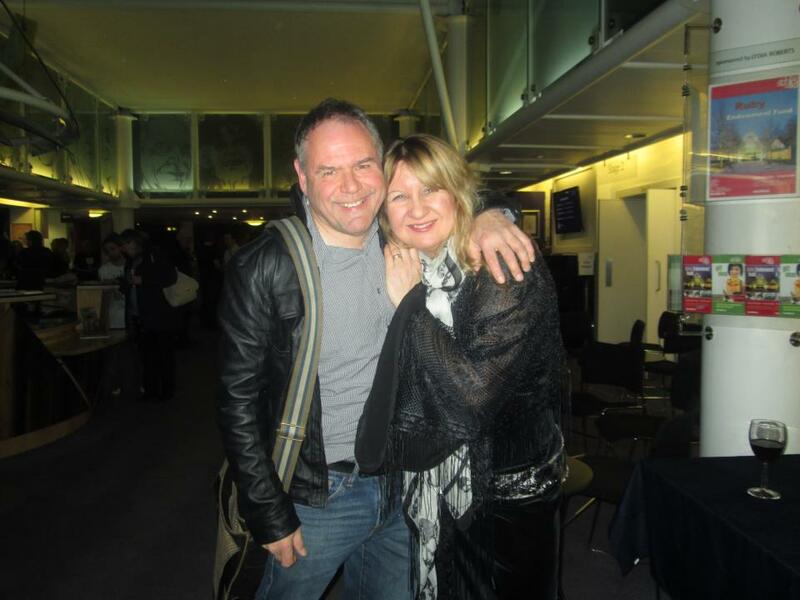 Encores: The classic Stay With Me Baby, (as Deb observed ‘’One of my brothers favourites’’) which she entirely did justice to…and Rock And Roll delivered with a sense of pure fun that paid suitable homage to the family tradition. Come rain or shine, there’s always such an air of positivity around the Bonham entourage and this night was no exception. 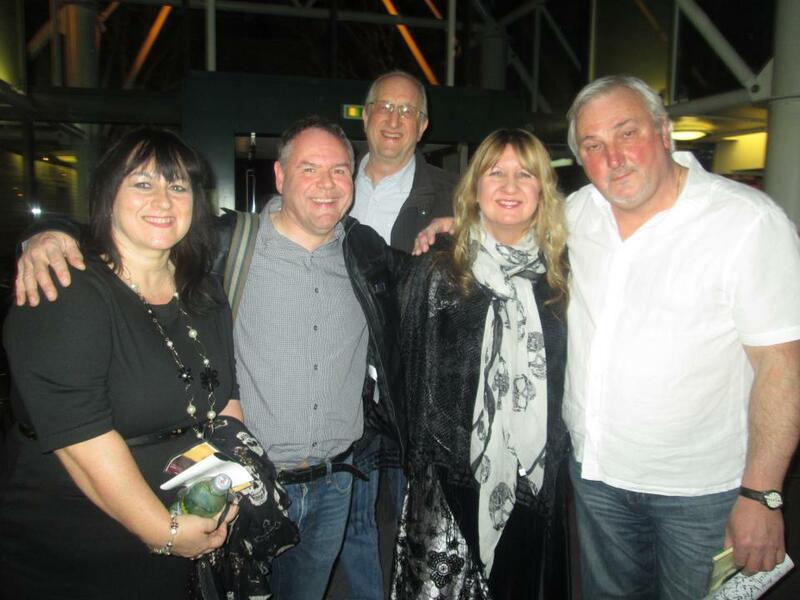 After some of the trials and tribulations here in recent weeks, it was an absolute tonic to be in such good company. 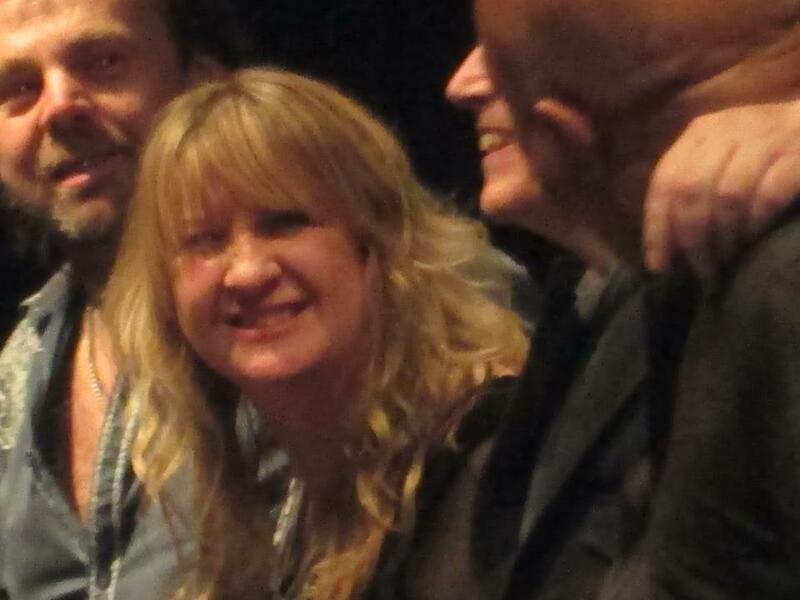 You can expect to be feeling the same way should you witness the Deborah Bonham Band on this tour. This ladies sprit remains undimmed – be sure to share it with her where you can. 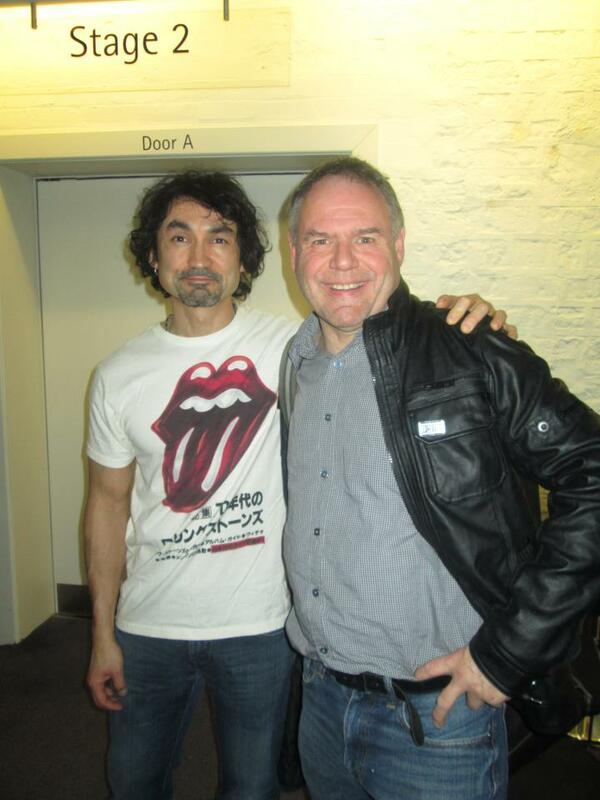 Dave Lewis – April 12th 2013. As can be seen above last night was a much needed tonic – a great night out in great company , and I missed Spurs penalty exit in the Europa league quarter final second leg tie with Basel in the process. No bad thing as it turned out!. Elsewhere Janet’s Mum Betty remains in hospital – an operation to fit a pacemaker is planned. I’ve got to say the good lady Janet has been absolutely saint like in all this and continues to be so bless her…elsewhere there’s been more work with Mick on the Knebworth revised book with over 70 pages now in design. Attention will now need to turn to the next TBL 35, of which there is some good stuff mulling… more on that soon. There is also a couple of important rendezvous due to garner more material for the new issue. Tension is mounting as we head towards Record Store day a week on Saturday –I’ve had a scan of the list of records on offer on the day and there’s a few very desirable limited editions on my wants list from David Bowie, Nick Drake, Miles Davis , Pink Floyd, Jethro Tull and a few more. April 10 –Day 10 in the DL/TBL countdown to Record Store Day with 10 days to go. 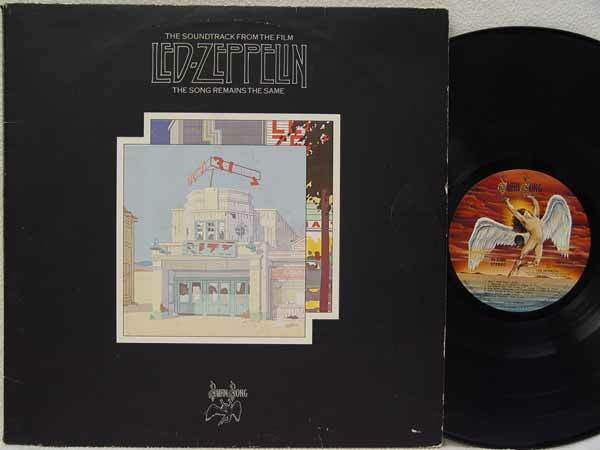 Today’s choice is Soundtrack From The Film The Song Remains The Same by Led Zeppelin as purchased on the date it came out October 21st 1976 – a real proper double live album when live albums were live albums (albeit a little overdubbed and rejigged) – and not available via a live download. I have a fair few versions of this Madison Square Garden recording – the 2007 re issue, countless bootleg configurations etc, but it’s still this double vinyl that captures Zep in 73 as authentically as anything I’ve heard.. This is how they initially envisaged it as a soundtrack to the much maligned film. Of course it has the 27 minute Dazed And Confused ( 26.53 to be precise) taking up one entire side of the set….a bit of a novelty back then – in fact the only previous track I was aware of that covered a whole side was Sad Eyed Lady Of The Lowlands on Dylan’s Blonde On Blonde album. Overblown, probably…but that was the way we liked it back then and just playing though side one – that whole side of Rock And Roll into Celebration Day into The Song/Rain Song still packs an almighty punch. This choice was inspired by the posting of a superb synced clip of cine film from the July 27th ‘73 MSG show that appeared on you tube. I’ll post that here – have look, it’s a great sequence. 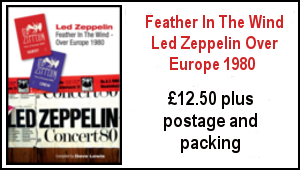 There’s a whole lot more analysis of Zep live in 1973 coming up in the next TBL magazine. April 11 –Day 11 in the DL/TBL countdown to Record Store Day with 9 days to go. 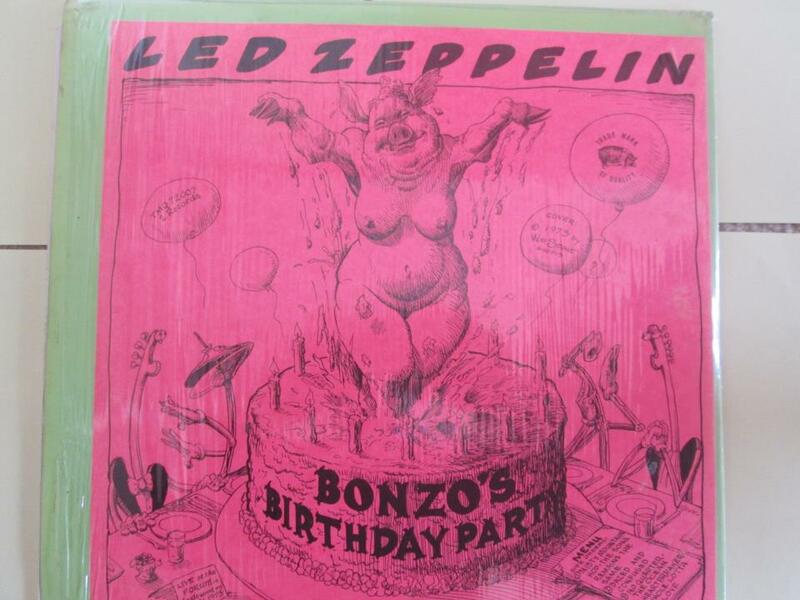 Today’s choice is Bonzo’s Birthday Party by Led Zeppelin – the double vinyl bootleg on the legendary Trade Mark of Quality label An appropriate choice as I am planning to be in the company of John’s sister at her Milton Keynes Stables gig later tonight. 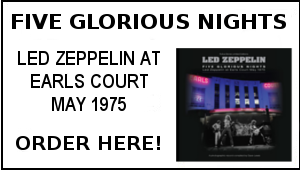 This is of course the epic LA Forum show from 1973 recorded on the night of John Bonham’s 25th birthday. A riot of a night splendidly captured on a raw audience tape and transferred to vinyl – I got this on mail order in early 1974. So many highlights- the ‘’prunes from California’’ ad break, No Quarter, Happy Birthday Bonzo sung by Robert and Heartbreaker into a frantic Whole Lotta Love. In 1973 they simply ruled America and this is ample evidence. 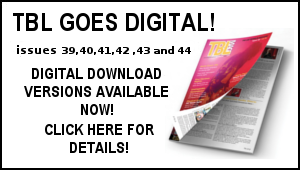 More on Zep in 73 in the next TBL magazine.